I left Québec the 18th of June-Saturday in the beginning of afternoon for a long trip to Qikiqtarjuaq (see previous post ‘The time you enjoy wasting is not wasted time’) in order to board on the Amundsen icebreaker the 23rd. 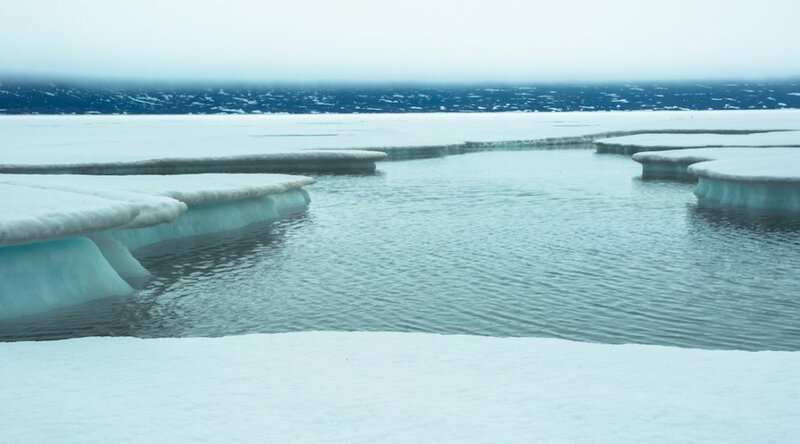 I was happy and enthusiastic to leave my everyday habits for this crazy adventure… but quickly, and although I was supposed to reach Qikiqtarjuaq several days in advance of the Amundsen, I realized I would have to completely change my plans. 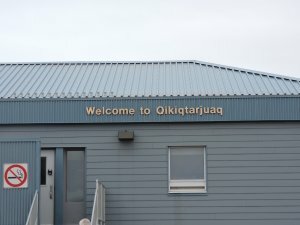 The first part of the trip from Québec to Ottawa was nice and easy-going, everything became (too) complicated when I reached Iqaluit, the capital of Nunavut, one the main entrances to the Canadian Arctic. After a Sunday morning flight Ottawa-Iqaluit, I was booked on the afternoon flight to Qikiqtarjuaq. After waiting several hours, the flight was cancelled due to the bad weather forecast, rather usual, basically you have 50% chance of a scheduled flight departing. No big deal, I was rebooked on the next day’s (Monday) morning flight, and actually I was not the only one at the mercy of the bad weather: nine GreenEdge participants were trapped with me in Iqaluit. We went back to the airport early the next morning. We checked-in and boarded the plane. 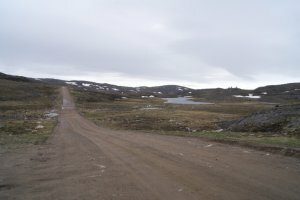 We were all so happy to leave Iqaluit and moreover, at the prospect of reaching our final destination soon. 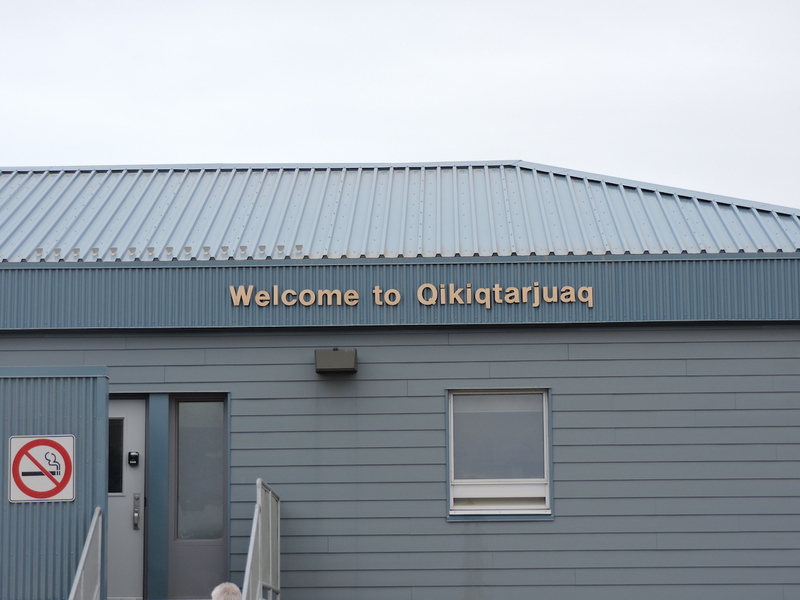 Several hours later, the smiles disappeared from our faces: about one hour after we landed in Pangnirtung (the mandatory stop before Qikiqtarjuaq) and with two hours of total delay, the plane took off again… but for Iqaluit… back to our starting point. Seven of us had the chance to be rebooked on the Tuesday afternoon flight and three of us (including me) on the Wednesday morning flight. 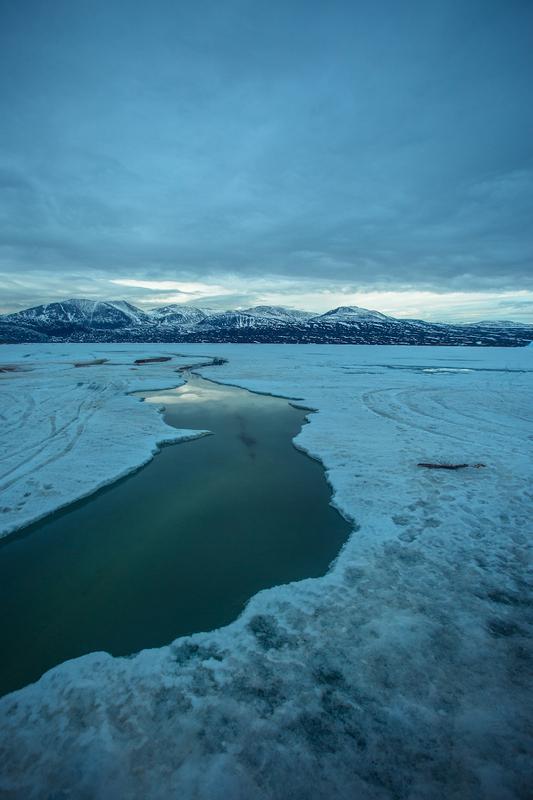 The Tuesday flight thus took off, leaving us behind, abandoned at the door to Canadian Arctic. 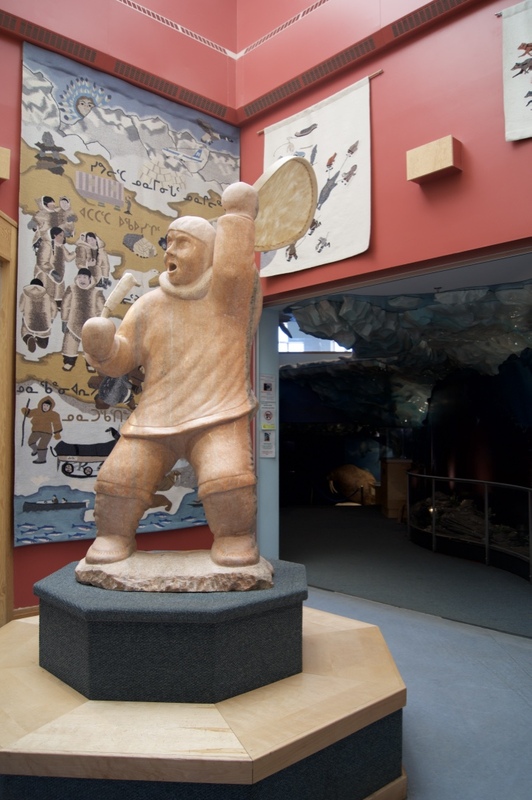 The positive side of the story was that we had all time in the world to discover the (few) attractive sites of Iqaluit starting with museums, visitor center, handcraft galleries, and ending in bars and restaurants. We even profited from the aboriginal day events (June 21st) and especially enjoyed the local music concerts, a beautiful experience. 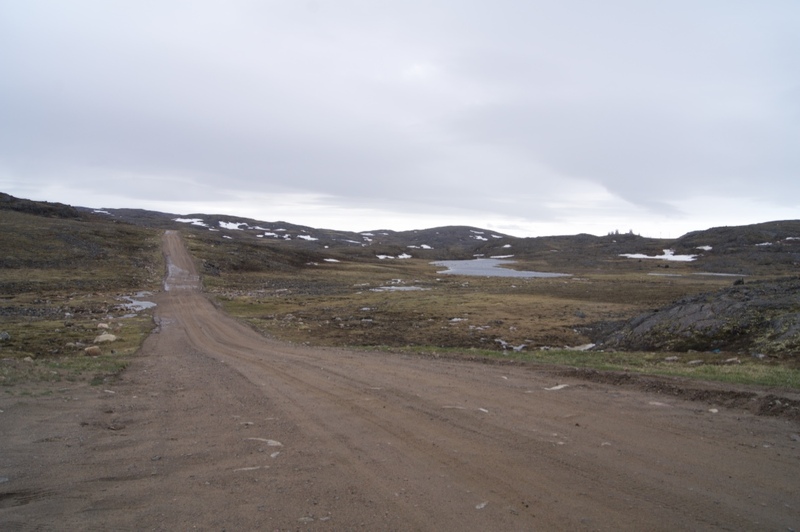 But after several days touring around in this small and isolated community of 6700 people, we inevitably ended wandering on the ‘Road to Nowhere’, East of Iqaluit: this, I thought, was the sad end of my adventure. Indeed, Wednesday morning and, unfortunately for us, the next couple of days, we followed the same routine: packing our luggage, reaching the airport at 6 AM, checking-in, waiting, learning that the flight was cancelled, rebooking on the next flight, yet we always had the same hope that the plane would at least take off. The problem was that the day we were due to board the Amundsen was getting closer and closer, and when Thursday arrived, we had been on stand-by in Iqaluit for 5 days already. Hopefully, the head of the scientific mission on the Amundsen would decide to wait for us for one day. The Friday flight was thus our last hope to reach Qikiqtarjuaq in time to board the Amundsen… but (of course!) the flight was, again, cancelled and the Amundsen finally had to leave without us. What a nightmare! For my two companions in misery the adventure was over and they immediately took a flight back to Ottawa (and from there to Québec and Paris) to go home. I was supposed to replace Pierre-Luc on the Amundsen so that he could work at the ice-camp until the end of the mission. However, he finally had to stay on the Amundsen, and I was redirected to take over his ice-camp duties. 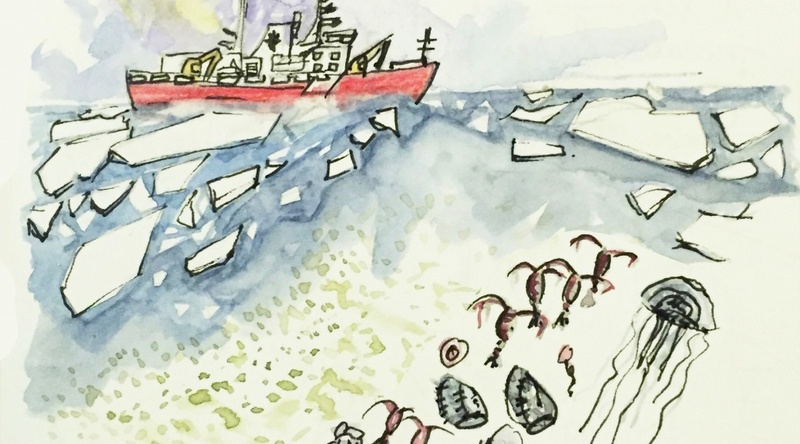 All right, why not, let’s replace an exciting time on the Amundsen by an even more exciting time on the ice-camp… although I had no idea when I would finally reach Qikiqtarjuaq! Unexpectedly, the weather turned much better on Saturday (June 25) and I was FINALLY able to take a flight and land in the magnificent Inuit community imprisoned between the bay and mountains… after seven days being stuck in Iqaluit: a new record for GreenEdge participants (the former one was five days, a joke) I could now easily be a tourist guide in Iqaluit as I have explored every square meter of the city. The conclusion of this story: The Arctic is not a ‘gift’ easily attained, it is necessary to show a high level of flexibility and adaptability to even reach it… but this is still far below the level required by Arctic ecosystems and populations that face ongoing climate change. 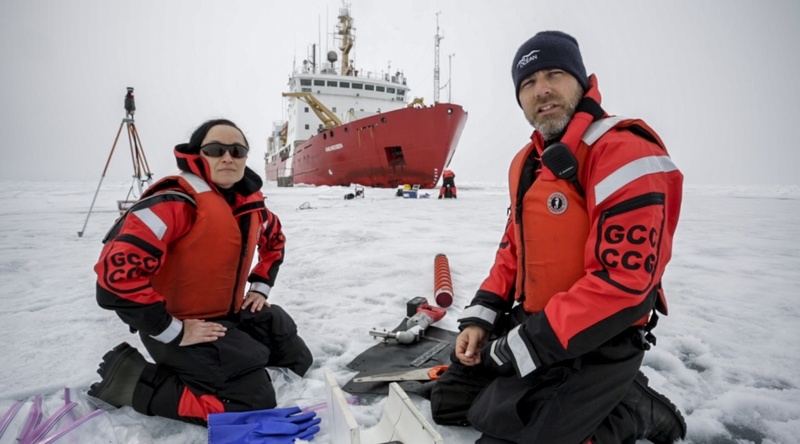 Thick fog hid the midnight sun for the Summer solstice, but the Green Edge team is gaining some great scientific experiences onboard the ice-breaker Amundsen.